Engage Difference! 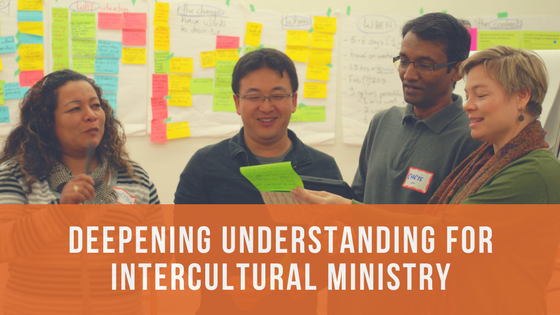 Deepening Understanding for Intercultural Ministry (DUIM) is a 5 day interactive and engaging program with practical ideas for implementation in your own context. DUIM is for ministry leaders and community members nurturing cultural relevance, understanding, and awareness in their communities. Registration is open to anyone who is interested, or through Forum for Intercultural Leadership and Learning partners. “…it was one of the best learning events I have attended in that it allowed me enough time to consider how I might apply learnings to my context. I developed ideas well enough so that I could actually articulate these ideas to colleagues on my return to work. So often workshops tend to be heavy on content without enough time for application. Your program achieved its aim, ‘Deepening Understanding for Intercultural Ministry'”. There is no “formula” or easy simple trick for intercultural ministry or ministry across difference. Rather it requires a humble enthusiastic openness to learn and to grow. It is a process of engaging your context and deepening understanding of how culture shapes you, your relationship to others, and your community. At every step the program intentionally prepares the participants to return to their communities and ministry settings, not as “experts” on intercultural ministry, but rather with tools and attitudes for engaging and facilitating their community in reflecting on intercultural ministry and ministry across difference. In a learning community of no more than 20 participants you will spend 5 intense, gently challenging, and engaging days focusing on intercultural ministry. Theoretical – theories and models of culture, how culture operates and definitions through a faith lens. Application – historical shaping of cultures in Canada, power, privilege, social location. Application of models of culture to our cultures, to church denominations (national/local expressions), to local community, and to self. Practical – resource people on how culture shapes specific areas of ministry and faith such as: theology, pastoral care, worship, music, homiletics, etc. 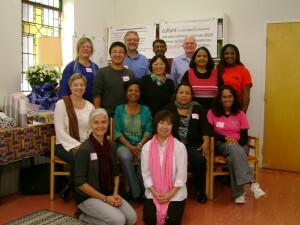 Tools for engaging your community in intercultural ministry. Practice – group projects and presentations, practice how to engage course content in participants contexts using an area of ministry/work as a case study. Take away – self care and support, resources, next steps, commitments. Connecting with program alumni for ongoing support and development. A variety of hands-on approaches to the content that engage participants as resources, including self-reflection, group work, guest speakers and resource people, physical arts, worship, case studies and readings. Gain a greater understanding of your own culture and abilities and aptitudes in intercultural settings. The program will begin with the recognition that we are all shaped by culture(s). A variety of activities will help you identify and reflect on the culture(s) that shape you. Engage in a faith based approach to theories of culture and healthy relationships. Apply your learning to better understanding your ministry context. Ministry settings and the Canadian Church denominations have cultures shaped by a history and reality that needs to be understood as part of the process of engaging the culture(s) of your current context. Practise and apply learning to your ministry responsibilities, including pastoral care, worship leadership, education, nurturing faith communities and ministry in the wider community. You will have the opportunity to choose areas of ministry on which to reflect more deeply, and will have opportunity to hear fellow participants reflections on other areas of ministry. This will be an interactive, engaging program with practical ideas for implementation in your own context. This program is for ministry leaders and community members in Christian Churches and ministry settings who desire vibrant faith communities engaged in cultural relevance, understanding and awareness. The Engage Difference! DUIM program is shaped by theological appreciation of diversity and a justice orientation focused on mutuality and respect. While participants will have a variety of experience with intercultural ministry, for most this will be a first experience of comprehensive cohesive faith based training in intercultural ministry. 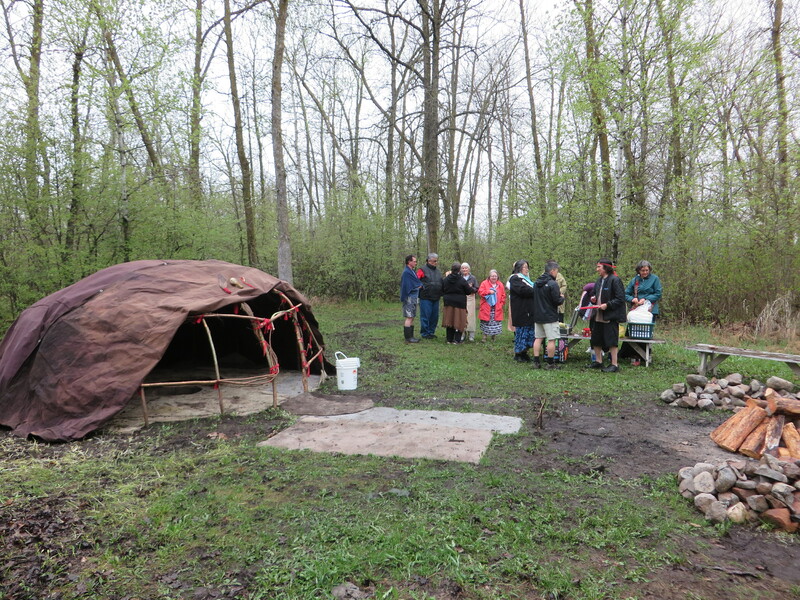 The group of participants will be diverse, including those shaped by the ‘dominant Canadian culture(s)’ and others who see themselves marginalized by these cultures. Participants will be able to commit to the full 5 days of the program. Canadian Church denominations increasingly desire to appreciate in thought, word and deed a diverse Canada and the diversity within their own ministry settings. Cultural and other diversities are not new phenomenon in Canada, but there is recognition that building faithful relationships requires intentional learning. 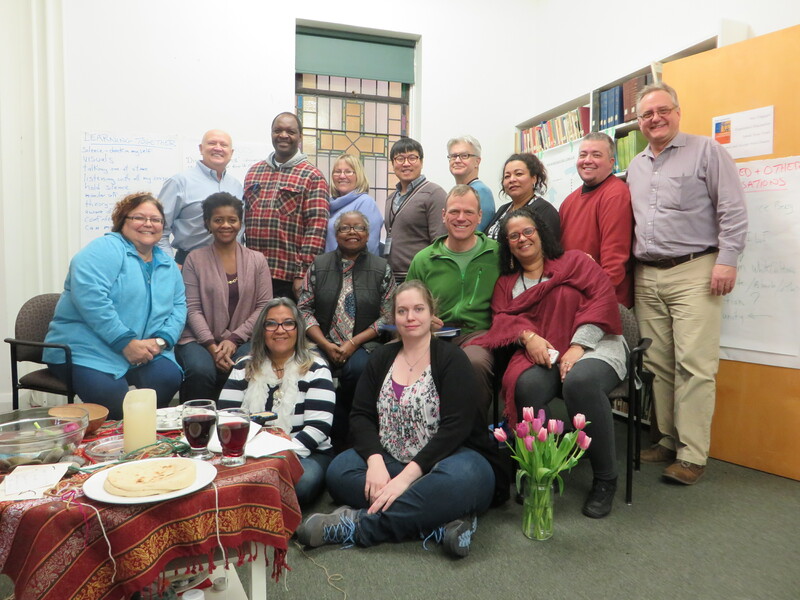 While there are many culture and diversity resources, there is an expressed need for faith based training for intercultural ministry, particularly one shaped by a justice approach to diversity which fosters mutual, respectful, faithful relationships across cultural difference. There is a growing awareness of a long history of diversity in Canada and globally that hasn’t always benefited from healthy relationships. Within Canada a critique of multiculturalism and the challenges of the Truth and Reconciliation process have helped to reveal relationships within God’s family that are broken by systems that would impose the cultural values and norms of one group on the whole community. 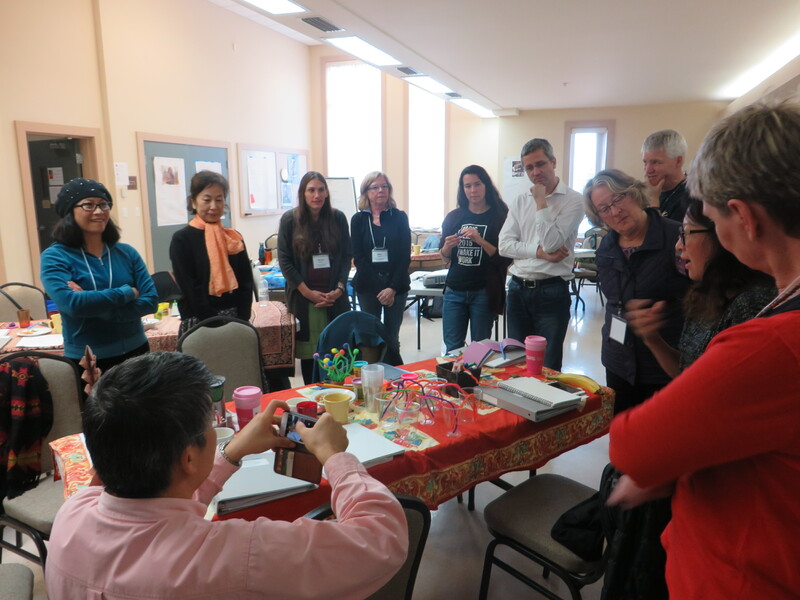 Forum for Intercultural Leadership and Learning (FILL) is an ecumenical Christian partnership through which Canadian Churches work toward intercultural leadership development and ministry learning in Canada and Globally. A reference group of the Canadian Council of Churches, the Forum for Intercultural Leadership and Learning weaves together almost 100 years of ecumenical intercultural ministry and global engagement. 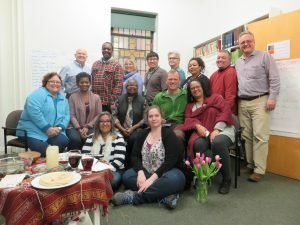 The Forum for Intercultural Leadership and Learning provides spaces for program alumni and others to gather for resource development and support for intercultural ministry. 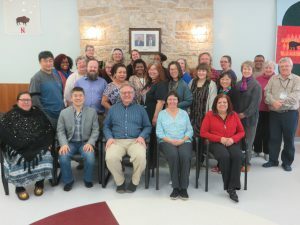 Facilitators and program designers are a diverse group of program alumni with experience in intercultural ministry who have been mentored and received training in adult experiential education. 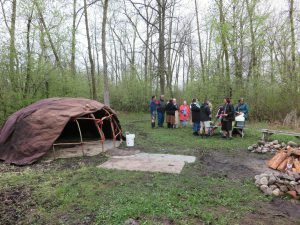 A local host group shapes the program for their context. Other resource persons from the local community share specific expertise and experience. Learn more about FILL including its history. Your involvement in this program will be of benefit to your employer, community, church, denomination, or other organizations. Approach them to subsidize your program fees. A number of Forum for Intercultural Leadership and Learning partners offer bursaries. Please contact FILL for possible bursaries in your faith community. The program is also recognized by various continuing education plans. Contact FILL for more information or help with supporting documents. When possible, we offer residential programs and the opportunity to build community through informal time with fellow participants. Arrangements can also be made for accommodation prior to or after the program. The programs are also often offered with a commuter option. When accommodation is not offered participants are welcome to arrange their own billet or hotel/guest house or at a list of suggested hotels and guest houses provided by the local host group. If you have questions or want to talk to someone to help decide whether you will participate in this program please contact Jonathan Schmidt (Canadian Council of Churches Associate Secretary: Intercultural Leadership; Justice and Peace.